Admit Card Release Date: 27 Dec 2018 to 09 Jan 2019. Written Test will be common entrance test for all cadres based on syllabus as per the educational standards prescribed for the post. 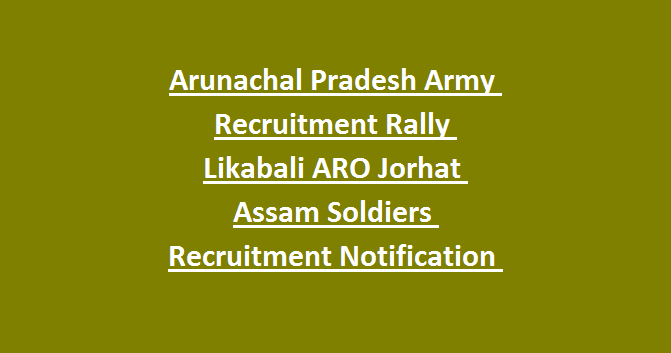 Candidates interested to Serve Indian Army as Soldiers must fill the online application form through the official website http://www.joinindianarmy.nic.in/, registration process of which has commenced from 10-11-2018 to 26-12-2018. 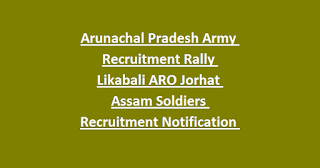 Candidates interested to participate in the Army Recruitment Rally at Likabali, Arunachal Pradesh for Soldiers Post can refer the official notification.